Enter your email ad‍‍‍dress to sign-up for our newsletter. 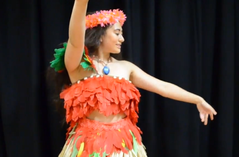 Join Moana's Hula 'Ohana Club for a fun and educational weekly hula class! Or have your own private lesson. Locations in New Farm, Wynnum and Tewa‍‍‍ntin. Our 2yo-3yo class is named after Heihei, the silly bantam rooster from the movie Moana. He's a little silly ‍‍‍and hasn't quite found his way yet but he has a lot of fun! Our little Heihei's are still finding their feet but we will help them put their energy into learning the hula! 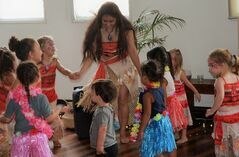 Your little one will learn authentic 'hula 'auana' set to modern Hawaiian music and songs from the Moana sountrack which they are sure to love! Our 4yo- 5yo class is named after Pua, the adorable pig from the movie Moana. Pua is a smart animal and is determined to learn! 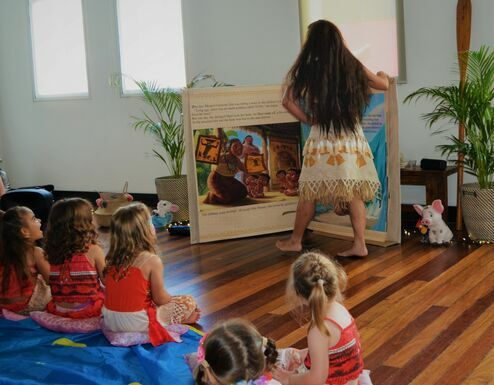 ‍‍‍Our little Pua's are the perfect age to learn our hula basics and even a more complicated routine! 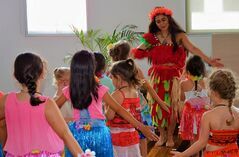 Your little one will learn authentic 'hula '‍‍‍auana' set to modern Hawaiian music and songs from the Moana soundtrack which they are sure to love.At the end of the term they will confidentially learn a routine to the Moana song "Logo te Pate". Private lessons run for 30 minutes and are specifically focused on your child's strengths and weaknesses, weather they are a beginner or have been to a few lessons! Up to 5 children can join in! 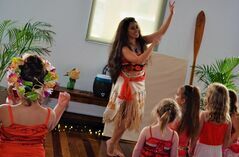 Your little one will learn authentic 'hula 'auana' set to modern Hawaiian music and songs from the Moana sountrack which they are sure to love.At the end of the term they will be confident and have learned a routine to the Moana song "We Know the Way".